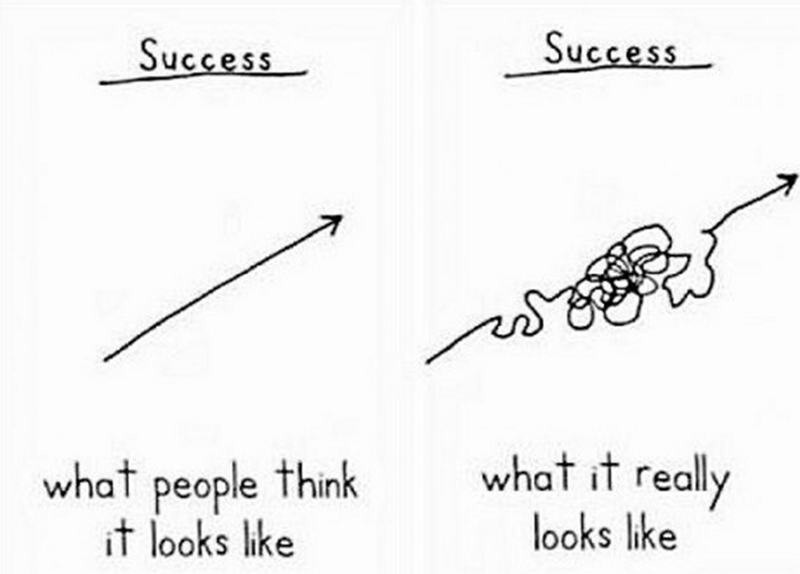 Success in health and fitness often follows the same path. We see it as a “I’ve got to do x,y, and z perfectly every single day or I’ll never be good at this health and fitness thing.” When we feel we’ve fallen off the trajectory toward our goals, it’s easy to mentally check out, to give up and stop all-together. I’ve been there! But the best thing about the ebb and flow during this journey?….it’s all normal! It’s all part of the real life of a healthy, fit person. You WILL have days where you just sit on the couch all day. You WILL have days where you ditch the ‘adult’ choice and choose the ‘feel good now’ food choice instead. You WILL have days where you didn’t squeeze an exercise session in like you told yourself you were going to. Most people stop their health journeys because they think it’s got to be all-or-nothing and a series of ‘downs’ mentally = failure. But you’re changing that way of thinking, right, friends?! Because, what if you stopped in the middle of the mess?! You’d miss out on reaching the highest point! Know that there is NO SUCH THING as a straight line to success…your journey will have lots of ups and – expect – some downs. But look at the big picture…that’s what matters. You will never be perfect and that’s the best part! Embrace it, find freedom in that, and keep rising!! Would you like to take Next Steps and see if Valeo is a good fit for you? We offer free Strategy Sessions to do just that! Simply fill out the form below and we will be in touch shortly. What are you looking for in a gym/fitness center? What would you like to accomplish? What, if anything, has kept you from accomplishing this in the past? No, but I know I have the support of other decision-makers in my home to invest in my health and fitness. No, and I'm not sure if I have the support of the other decision-makers in my home. What are some days and times that work best for your free 1-hr Strategy Session? Our team will do their best to accommodate you! Would you like to receive quick Exercise, Nutrition and Mindset tips via our popular Tuesday / Tip newsletters?